In the previous article we looked at what it takes to start a career in transcription. This article will look at the best sites you should try to jump-start your career. They pay well for both beginners and those vast experience in transcription. This transcription site accepts applications from all over the world. The challenge with most sites that pay well for online jobs is that they do not accept workers from non-native English speaking countries. This locks out a lot of Kenyans. In as much as Rev accepts applications from all over the world, their application process is quite strict. Only 10% of those who apply get accepted. They have a testing process that lasts for an hour. If you believe you have above average transcription skills, then you can try your luck with them. The rate depends on the audio length and quality. 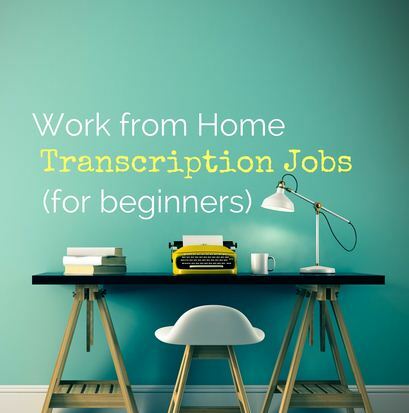 The more difficult it is to transcribe, the better the pay. This is the best transcription site for newbies (those new to online work). Like Rev, it also accepts applications from all over the world. Their customer base includes lawyers, doctors, churches, insurance companies etc. Use Google Chrome to sign up, as the site does not support Mozilla browser. Sign up and you will be directed to a page that has a number of tests. Click on the English Transcriber Training and Exam. The site has a style guide that you should download and go through before you start any work there. The best thing about this site is that it offers free training! At the end of the training, there is an exam you will sit for which will determine whether you are accepted or rejected. You can take the exam several times. Their rate is $20 per audio hour.